Sometime in 1983 I saw promotional photos with scenes from the soon-to-be-released Return of the Jedi on the wall of my local cinema. I remember that moment, as I stopped dead and stared at these photos for a very long time. This being the early 80s, I literally had no other information about the new Star Wars movie, and one specific scene with a half-finished Death Star was very inspiring. By the time I arrived home that day, an idea for a simple computer game had taken shape and I immediately started working on it in BASIC on my ZX Spectrum. 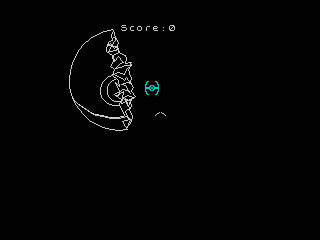 The game - Death Star - was a very unofficial tie-in, where you had to eliminate waves of Tie fighters as they emerged from the incomplete death star. The games I wrote on the Spectrum were all stored on cassette tapes and I was later able to transfer some of them via the Interface 1 and its serial port to an Atari ST and then much later on to a PC and then to a Mac. In this way I have preserved a few of my early programs, including Death Star, and I can still run these games on current ZX Spectrum emulators. Which leads us to the here and now... I'd shown this game to my son some time ago, and yesterday he said he wants to play Death Star - forfeiting his weekly allotment of Nintendo Switch time for the purpose. So here we are, playing the game together. This is a very special moment for me - our kid laughs and has fun, he gets excited when a tie fighter gets too close, he cheers when we manage to hit another one at the very last moment. I look at him and see myself back then, so many years ago. 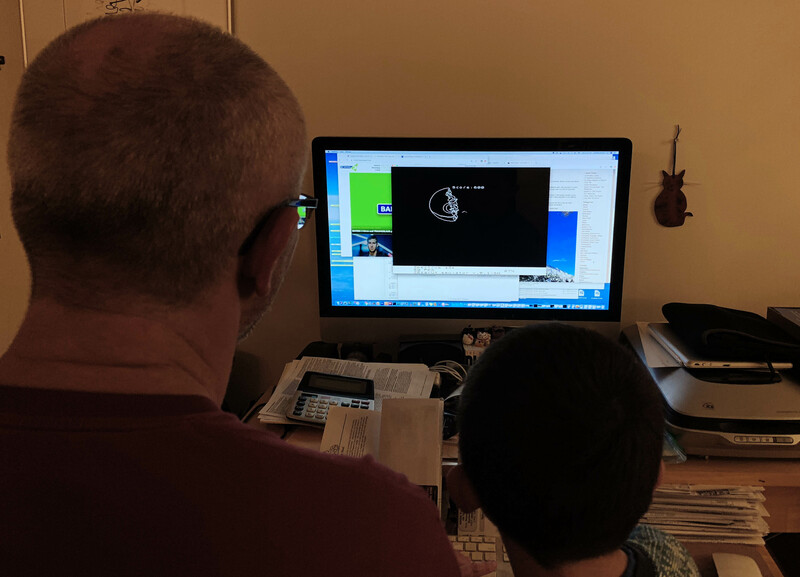 When I wrote this game, the thought that I would play it 36 years later - that my own son would play that very same game in the far distant year of 2019 would have been incomprehensible. Hearing my son's laugh as he plays the game is the best reward for my work in 1983.